Deciding on the best sports watch is no easy job. That's because the likes of Garmin, Polar, Suunto and even Apple currently offer strong options for anyone that likes to run, but also dabbles in some cycling, swimming or even a sport that's a little more niche. The good news is there are some great sports watches for men and women, offering more designs, fits and looks than ever before. Whether you want something you can comfortably wear all day or just when you need to get into that training, there are options for everyone. 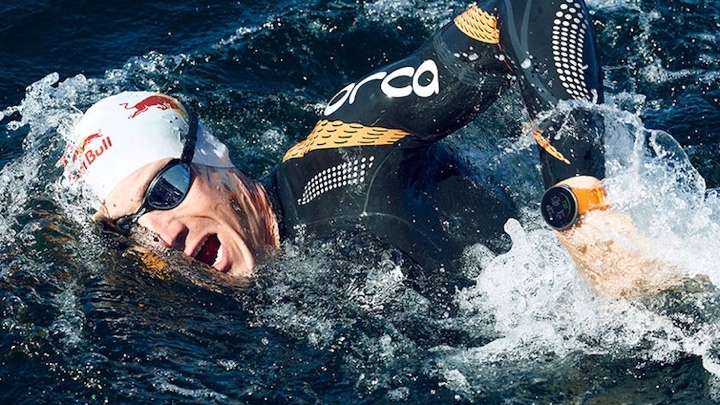 So whether you're into swimming, running, cycling, a budding triathlon or live in the gym, this is our pick of the best sports watches and sporty smartwatches to buy. With heart rate tech becoming more and more prevalent, it leads many people to ask the question: do I really need to track heart rate? For beginner runners, the answer in most cases is no – the extra data will not make you a better runner, and unless you're seriously fit, it's too hard to train using heart rate zones. However, that's not a reason to discount the data. Heart rate colours your run data, it indicates that you're getting fitter, and it brings apps like Strava to life. It's primarily designed for those who favour participating in the multi-discipline events, but it takes the best of the new tracking skills packed into the Fenix 5 and puts it into a slimmer and smaller body. It's also compatible with Garmin's Running Dynamics Pod, which delivers six running dynamics including cadence, ground contact time, stride length and more. Heart rate monitoring is by no means perfect, but it's come on leaps and bounds in terms of accuracy since Garmin first started putting optical sensors inside of its watches. We should also talk about the battery life. Bottom-line, It's one of the best performers we've tried and can manage a couple of weeks if you're not hammering marathon distances everyday. We love training with it and we think you will too. For runners, there's built-in support for producing running power data without additional accessories and an improved heart rate monitor that uses new optical tech ensures the Vantage V has one of the best performing wrist based monitors out there. Then there's the smart coaching features, which are plentiful. If you're willing to go deep into the analysis of your performances and training sessions, this is one of the best watches to it with. We should also mention that there is the Vantage M, a more affordable alternative that offers most of the same features as the V for considerably less. Features like running power and muscle load requires third party accessories while battery life is 30 hours as opposed to the V's 40 hours. But if you want to save a bit of money, it's worth considering too. Suunto's latest multisport watch goes big on battery life, but it doesn't ignore its main duties and to track a whole lot of sports both indoors and outdoors. It's got running, cycling, hiking, swimming and more covered. Then you've got features like recovery to estimate how long your body needs to recover and a raft of route navigation features to help you stay on track in the great outdoors. Suunto's heart rate monitor is a solid performer, while its ability to double as a fitness tracker continues to improve. It's one of the bulkier options on this list and the app and analysis elements are still a little patchy, but if you're someone that yearns for big battery life, the Suunto 9 is going to appeal. Coros is a newcomer to the sports watch world, and with the Apex it has come up with device that can live with the Garmin, Suunto and Polars of this world. There's a heart rate monitor on board, although it's a mixed experience and not too dissimilar to what we've found on other watches on this list. It's quick to pick a GPS signal and the battery life really does go the distance. Often watches from relative newcomers disappoint in the software department, but that's not the case with Coros. Its companion app is well designed and gives you plenty of performance to pore over after your training session. Crucially, if you're just not a fan of that app, there's Strava integration too, letting you throw you data into the third-party app instead. The Apex has taken us a little by surprise, and while it's by no means perfect, there's certainly a lot to like about a multisport watch that you can you pick up for less than the Garmin Forerunner 645 Music and costs around the same price the Polar Vantage M.
TomTom has pulled out of the wearable tech game, which is a serious shame for its Spark 3. It's a running watch first and foremost, but it also serves up solid cycling and swim tracking skills too. The good news is that this favourite of the Wareable team can be picked up at stunning sub-$100 prices, so it remains here until it finally dies off for good. As well as the usual running metrics (distance, speed, time), its optical heart rate monitor aced our tests, and it plugs into nearly every running app going. It'll also store MP3s, which it'll play via a pair of wireless headphones. Only select Garmin watches offer that kind of music support. A Route Exploration feature enables you to upload GPX routes (you can quickly make one in Strava or Map My Run) and follow them from the watch. It's a nifty feature and really useful for getting out and exploring new areas. It's not without its issues. Pairing is still a bit of a nightmare at times (we actually do this via a cable to our PC/Macs now to save blood vessels popping). But its solid stats, improved smartphone app, great heart rate sensor and extensive list of extra features earn the Spark a place on our list. If you want the full works (GPS, heart rate, music playback), you'll be paying above $200, but if you're willing to sacrifice some of those features you can pick it up for a less and still get a great run tracking experience. If you're willing to sacrifice mammoth battery life and support for some of those more niche sports for a watch with top smart skills, these are our top picks. With watchOS 5, Apple's latest software update seeks to improve support for other activities outside of the core sports putting the emphasis on its improved heart rate sensor to provide insightful workout data. Then you've got all the smarts to enjoy. Apple Pay when you need to grab a drink to refuel, LTE to stream tunes from Apple Music, the ability to download third party health and fitness apps and some of the best notification support you can find on a smartwatch right now. If you're after a nice blend of sports tracking wrapped up in a watch you'd happily wear all day (and don't mind charging it every night), this is a good option. The Huawei Watch GT might offer a more streamlined smartwatch experience in comparison to what Fitbit and Apple's watches offer, but it does beat them for features that will be desirable to sports tracking fans. Running, swimming and cycling is covered here as well as additional outdoor sports tracking like hiking and cross country. It has GPS/GLONASS/Galileo support to offer the widest range of mapping support and an altimeter to track that all important elevation data when you're sweating it out outdoors. Other features include a heart rate monitor, 24/7 activity tracking and Huawei's Lite OS keeps things simple offering smartwatch features like notification support. Crucially for some, it doesn't support third party apps. So you can't push your data into apps like Strava unfortunately. not sure i agree on the fitbit being here as a tri watch?